Hear me out on this. Maybe you’ve happened upon the news that Nikon is working on a new camera – and it seems like a pretty big deal. After all, it’s been almost five years since Sony’s full-frame mirrorless cameras were announced, and we all suspected Nikon would hit back eventually. But that’s not what I want to talk about today. 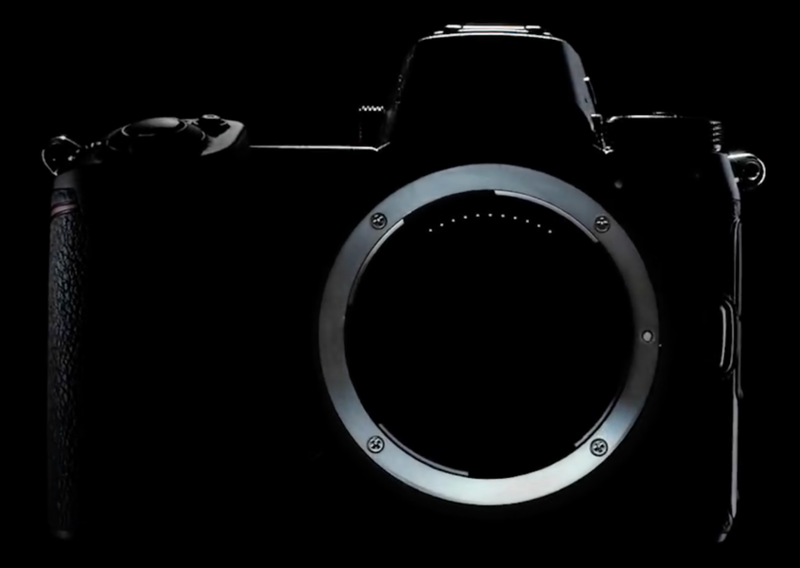 Instead, I’d like to draw your attention to the glowing lens mount shown in one of Nikon’s teaser videos. Still, you’ve got to admit that a glowing lens mount isn’t too crazy. Right now, writing this article off the top of my head, I can think of at least a few reasons why Nikon should create a camera with a glowing lens mount and why such a thing would make the world amazing. The first issue hardly matters, since – assuming Nikon implements it properly – you would be able to turn off the light whenever you needed, or permanently disable it. The second issue is a bigger deal, but you can already find plenty of low-power LEDs that are only a few millimeters across attached to copper wire, so I assume camera companies would be fully capable of doing something like this if they had the desire. 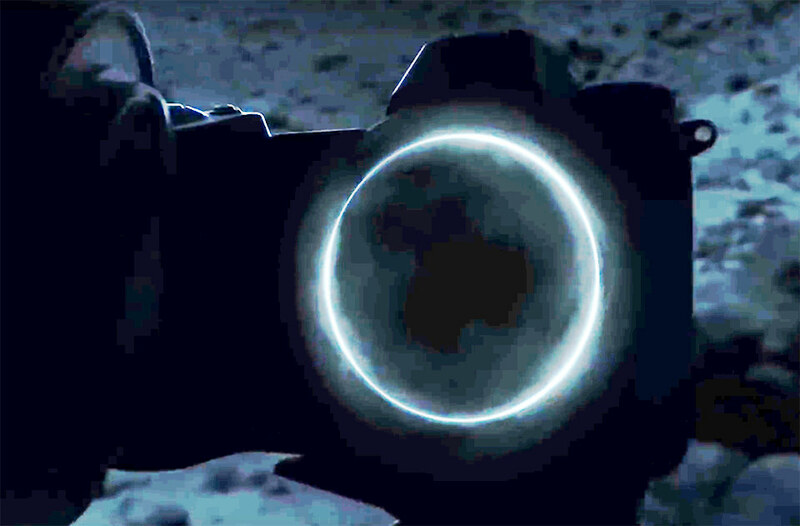 Unfortunately, with each new day of teasers, it seems less and less likely that we’ll get the glowing lens mount we all deserve. I’m going to keep watching Nikon Rumors (we all do it, right?) and who knows – maybe Nikon will surprise us. Yes, given the number of people who have seen the trailers and lightheartedly thought I wonder, this article is somewhat satirical – but I’m also being serious here. I do think it would be nice to see something like this in a camera, perhaps not as a full glowing lens mount, but at least as an LED to light up the attachment point. As someone who likes night sky and Milky Way photography, exactly the genre Nikon hinted at in its first trailer, a glowing lens mount could indeed be very useful for changing lenses in the dark. Granted, I know that it’s unlikely, and I also know that a headlamp can do something similar (or just ambient light in most cases). That’s what I’ve been using for years. But sometimes the little details of a camera can make it more intuitive and easy to use, even if those details are far from being strictly necessary. It’s like the magnetic charging cable on my older MacBook Pro – not an essential feature, but something useful and cool that rounds out the laptop’s design in a positive way. There would need to be a way to turn off the lens mount light entirely, since it’s not a feature that all photographers would want. It’s not enough to have a uniform glow around the entire lens mount. Instead, if Nikon were to have a slightly different color or brightness right at the point where the lens is attached, it would make the entire system easier to use. Or, as mentioned above, just a single LED at the attachment point would be good as well. Lenses should have an ultra-reflective dot in addition to the white dot they currently have, so the light from the mount can tell you where to attach the lens. This would make the process of changing lenses in the dark almost as easy as during the day. When the lens is fully attached, the glow of the mount should turn off completely. This would make it obvious when a lens isn’t properly attached. 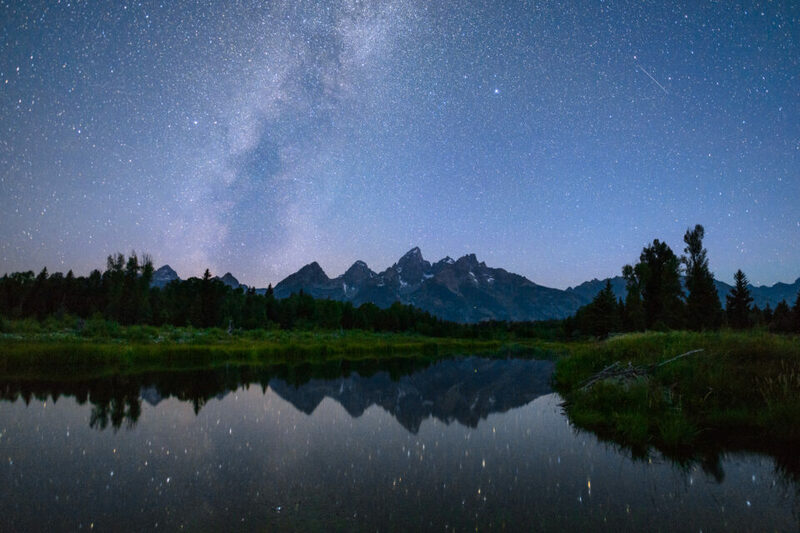 For Milky Way photography, it matters that your eyes can adjust smoothly to the dark. There should be an option to make the mount glow red instead of blue (as shown in the first teaser), since red light doesn’t harm night vision as much. Or, at a minimum, the dimmest setting on the lens mount should be dark enough that it hardly affects your eyes at all at night. Similarly, the brightness would need to be adjustable in a menu on the camera, and the LEDs would need to be placed so that none of their light actually enters the path of the photo. Then again, perhaps it really is time for Nikon to add some sleek features like a glowing lens mount, especially when such a thing does have practical benefits for photography. Sure, it’s a minor detail, but it is hard to deny that a glowing lens mount would make for cool advertisements (as we’ve already seen) and genuinely help out in certain photographic situations. Done right, there are few drawbacks, since you could always disable the option completely. That’s my strange opinion, and I’m sticking to it. Who’s with me? You know, I think you are right. Something could be done with this. Yes, something like that. It definitely doesn’t look like a glowing mount (part or full) is actually in the cards! But hey, it could be interesting. Probably not the camera of choice for war photojournalists. You may also get on the bad side of astrophotographers doing a long time exposure with their 12″ telescopes. However, if you can switch off the light option this would be ok for these situations. Agreed, if it can’t be disabled, it would be more of an issue than a feature! I’m thinking something along the lines of the AF-assist light in terms of implementation, although much dimmer. Maybe you like to check wikipedia for “scattered light”, Spencer? I never ever ha troubles finding the mount in the dark, but with some third party lenses I cannot feel the point on the lens ( a white ball on Nikon glass). The AF-assist “light” is more of a pattern on some cameras. I recall Sony to make a laser pattern in their F828 series, which had an infrared nightshot mode. Very inconspicuous. In a discotheque. Now don’t get me wrong, but the first thing I thought of when I saw the promo was the horror movie “Ring”. I hope that is not an indication of how this ends for Nikon. Sorry, Spencer. I’m not with you on this one. I truly hope that Nikon delivers a solid pro-quality camera without any gimmicks. I am with you Spencer, but before Nikon does such a thing I’d like to see all buttons illuminated like on the D5. In three weeks we are all going to be covered with reviews and high ISO comparisons. Keep on the good work you guys, thanks! I would have wished for this last Friday when I went to take pics of the starry sky and the blood moon. Goodness knows both my headlamp and my smartphone’s flash were unbelievably annoying to my eyes considering that it was incredibly dark and I could barely see a metre in front of me, if that much. Trying to change lenses without using any light was a nightmare, possibly because I’m not particularly used to doing it even during the day. LEDs would require an extremely low power, maybe 4 diffused LEDs at 12, 3, 6 and 9 o’clock? RGB obviously because if someone wants a purple mount, why not. At night that, plus illuminated buttons like on d500/d5 would be ideal (and it would be used far more than one would think considering that during winter “night” starts as early as 5 pm). Oi Nikon, think about it, will you? I’ve often thought it would be nice if the white rounded dot on Nikon’s lenses and camera bodies glowed in the dark. Internal LED lighting inside the mount might be very useful when mounting lenses in the dark, and possibly cleaning sensors as well if it was angled properly so it didn’t reflect or cause glare. I’m hoping it has a glowing ring and levitates! Now that would be cool! Another advantage of a glowing lens mount for creative photographers might be that given a little play in the mount (as is not uncommon), we could more easily achieve some interesting ‘light leak’, ‘flare’ and ‘enhanced bokeh’ effects so beloved on internet photo sites without going to the expense of buying presets and plugins. Just wobble the mount during exposure and voilà instant art – with some creative blur thrown in for free. Any thoughts on the ‘glow’ serving as a visual indicator to the actual diameter of the mount? The one in the image does seem quite bigger than the Nikon F mount, especially when seen on a full-frame. Such a large mount would enable lens with apertures wider than f/1 to be possible on the new mount, which I understand was not possible on the F-mount. Instead of a glowing lens mount how about an LED lens alignment indicator? Have the indicator on the lens made from a watch type glow-in-the-dark material and the camera’s an LED. Most of us can switch out lenses with our eyes closed so this would be a helpful in situations where we’ve lost that old touch! The LED could be made to glow for a few minutes after a lens was removed, then switched off to avoid it being a distraction. Just a thought.